DNS Flag Day was February 1st, 2019. On this day, a number of major DNS software and service providers, including Google, Cisco, and Cloudflare, stopped supporting workarounds for DNS authoritative systems that didn’t support EDNS (Extentions to DNS). EDNS, which was standardized in 1999 and updated in 2013, makes DNS more efficient and allows the creation of new functionality such as DDoS protection. However, workarounds deployed to accommodate non-compliant systems added complexity and made the service harder to operate. By ending backwards-compatibility, service providers, Web giants, and organizations such as the Internet Systems Consortium hope to compel operators to upgrade and take full advantage of DNS’s capabilties. 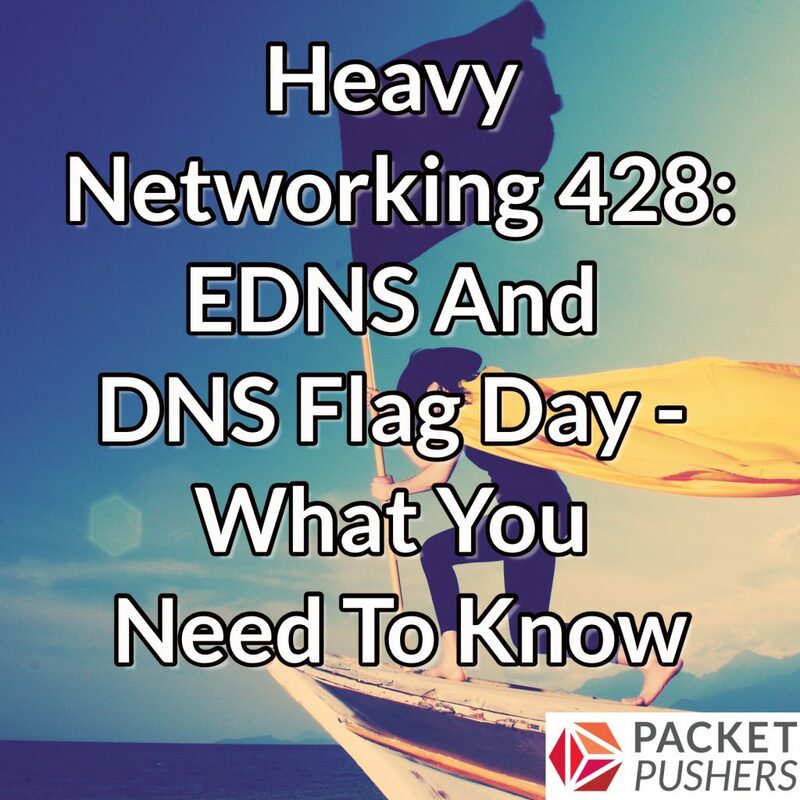 On today’s Heavy Networking we discuss DNS Flag Day and its potential impacts on non-compliant systems, examine EDNS, and more. Our guest is Cathy Almond, Sr. Support Engineer and Team Lead at the Internet Systems Consortium.